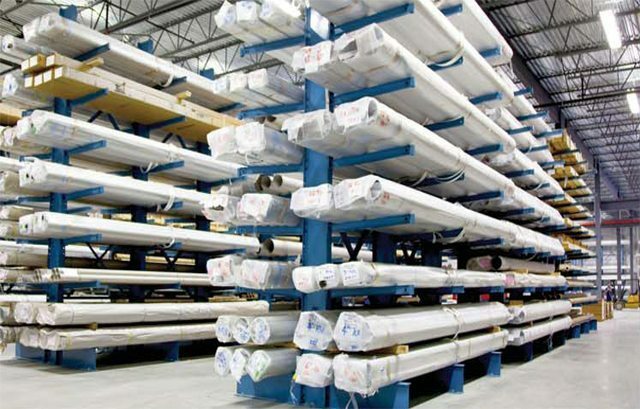 Cantilever racking provides efficient, durable, and easy storage. Ideal for storing short, long or awkwardly-shaped items, our cantilever racking features a special arm system designed for easy front loading without obstruction. Structural steel components guarantee superior strength. Punched holes run the full height of each column upright, providing excellent adaptability and versatility for all of your storage requirements. Built for the toughest industrial applications, all connections use high-strength structural grade bolts. 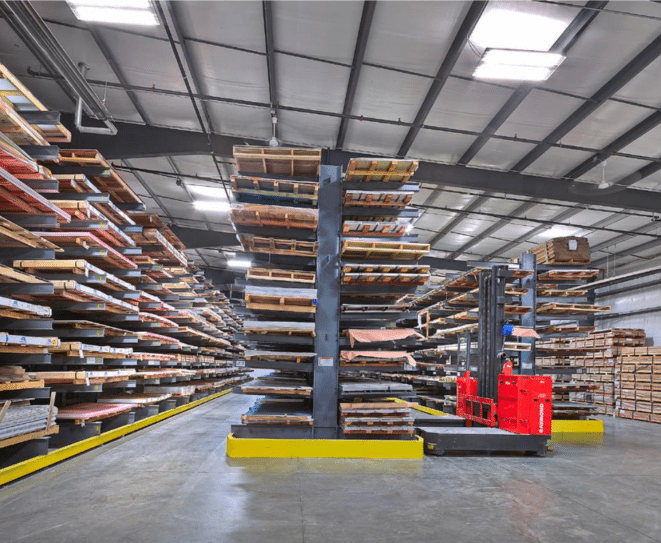 Designed for use with side loader fork trucks, our VNA cantilever racking maximizes storage capacity for a highly efficient use of floor space. The narrow design means our VNA cantilever racking uses as little as half the standard aisle width of standard racking solutions. Your storage capacity doubles and wasted space is eliminated. This is ideal for high-density storage areas or where there is a need for expansion within an existing facility. 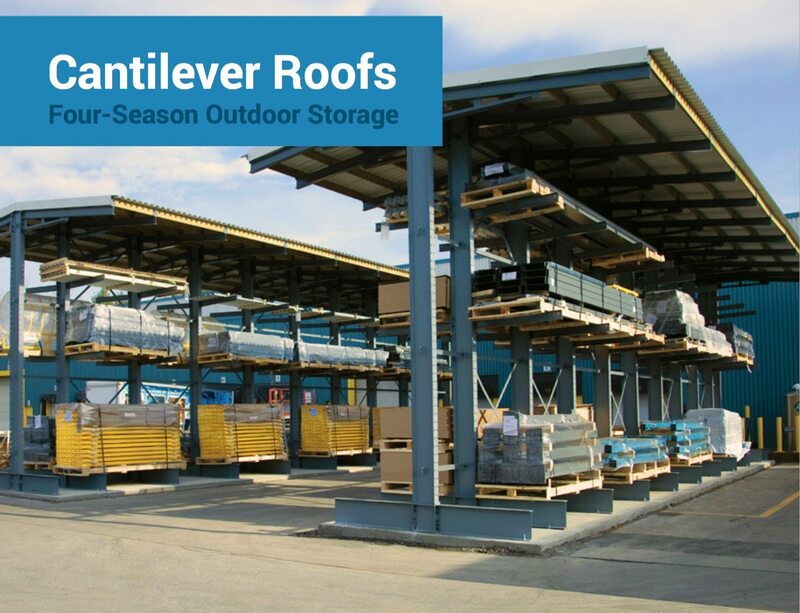 Ideal for protecting stored materials from harsh weather conditions, the angled roof design allows rain to flow down easily and shields against snow, ice and sun damage. Powder-coated structural steel components and heavy-duty treated wood joists provide superior strength and durability. 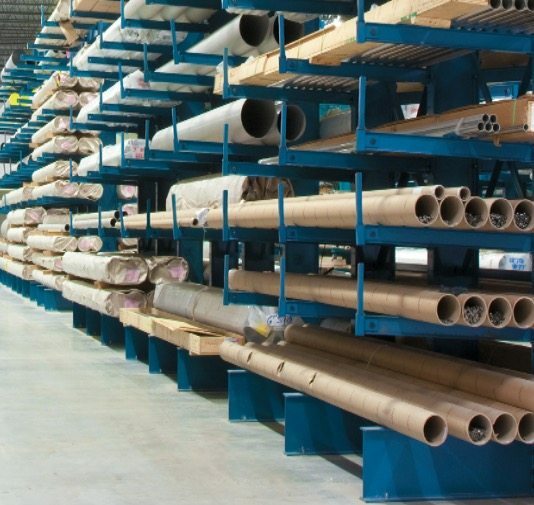 Lost or damaged material due to severe weather is significantly reduced, saving you costly replacement expenses.